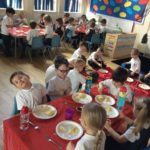 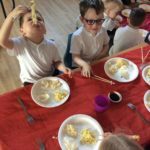 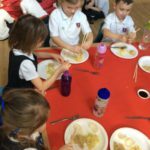 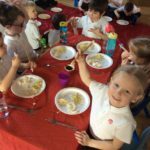 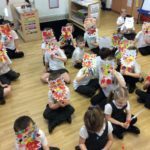 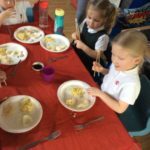 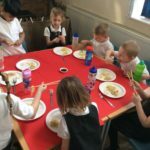 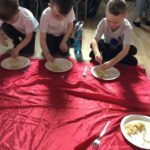 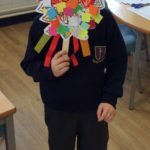 Reception class have really enjoyed learning all about Chinese New Year and how it is celebrated. 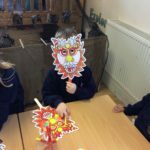 We created dragon masks and used these to do Chinese dragon dancing. 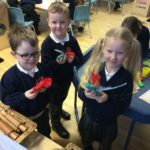 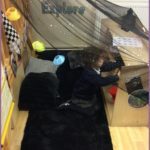 We listened to Chinese music and used different instruments to sound like the dragon. 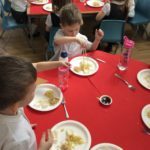 We have been trying to write Chinese symbols and we also wrote menus for our Chinese party. 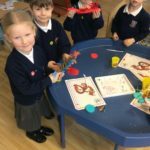 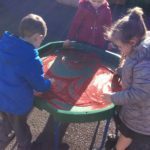 We’ve had a busy week in reception and we can all tell you lots of interesting information about how Chinese New Year is celebrated. 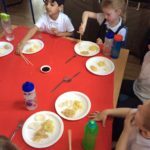 We are tasting some Chinese food. 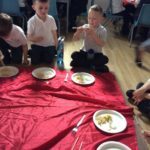 We are enjoying our party. 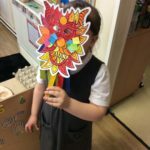 Our colourful dragon masks ready for our parade.